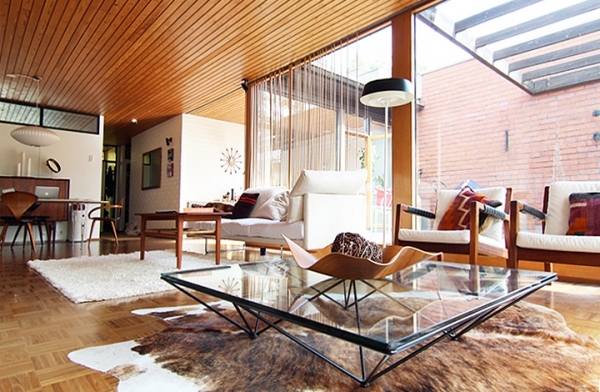 For those who have in their possession, or have lived in for some time rather, a home that is from the mid century, you have probably already had the idea of a renovation project running through your mind. 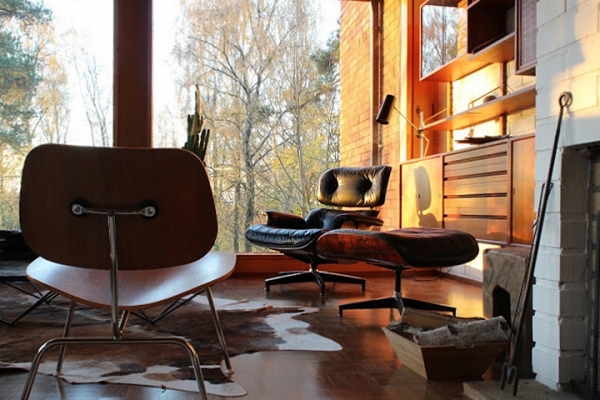 Renovation projects can be a bit daunting, but if you take a look at this lovely mid century home, located in Finland, you may find that it doesn’t have to be so intimidating after all. You will probably notice right away that the overall look of the home has maintained that dated look. 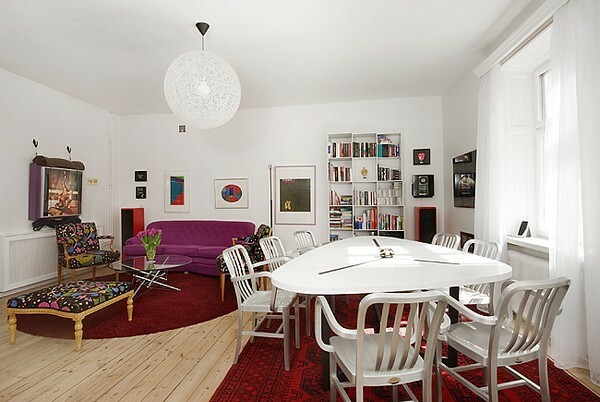 This however is such a wonderful approach to the renovation. 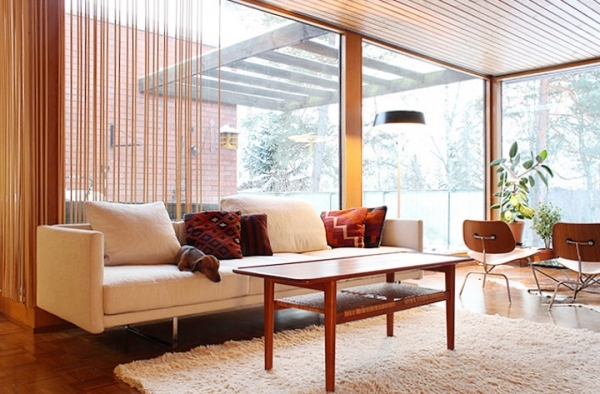 Rather than gut the home and completely make it contemporary, the owners Pekka Kumpula and Minna have found the perfect combination of mid century backdrop with a hint of modernism. The use of restored wood and brick in this mid century home to start out with is what really makes this home stand out. 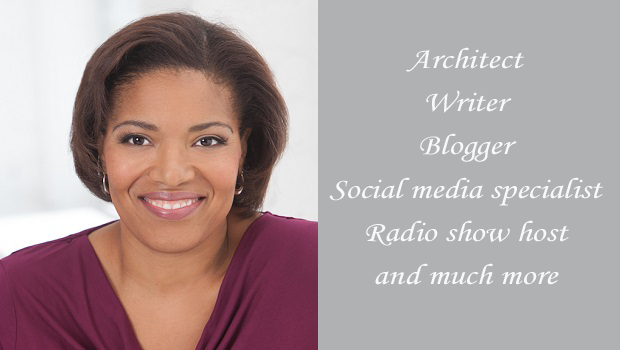 Again, we appreciate so much the fact that this home was truly renovated rather than a complete overhaul. 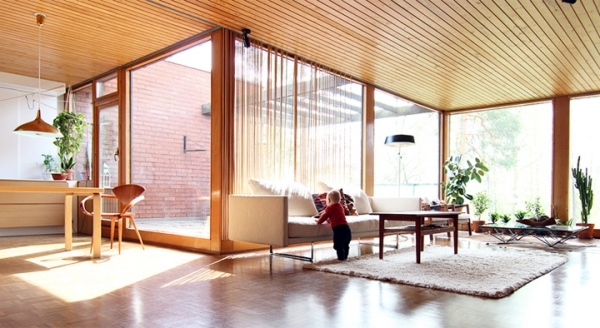 The wood in the ceilings especially is noteworthy here. The hints and splashes of white brick throughout the home are an excellent addition to the décor. Might we point out how easy it is to revamp something that already exists in the home; this brick was simply painted and it transformed the overall look. It really lightens things up and breaks up the wood very nicely. 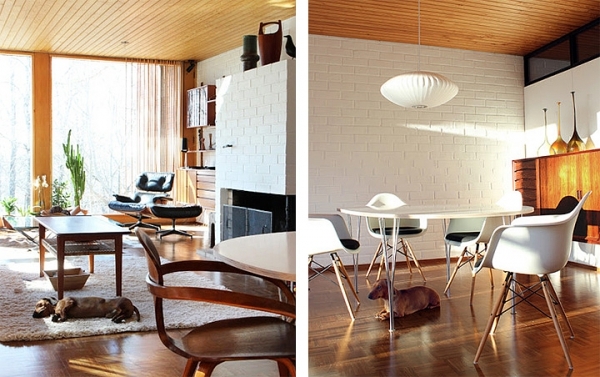 The modernist furniture completes the look of this mid century home. The wood in the majority of the chairs and tables matches perfectly with that of the ceiling and floor. And of course the simple white and cream in the couches and rugs is also totally in perfect unison with the white brick. Everything flows together effortlessly, creating a seamless and beautiful home altogether. 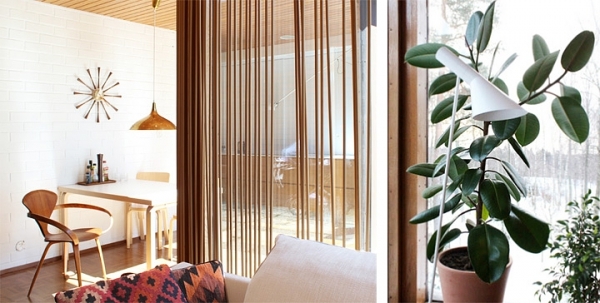 Find out more about the project on Pekka Kumpula and Minna’s blog Olive Green Window.